I-275 to exit 77 KY-9 S/Licking Pike toward Maysville. Turn right onto KY-709. Turn left onto US-27/Alexandria Pike. In approximately 9 miles, turn right onto Darlington Creek Road. 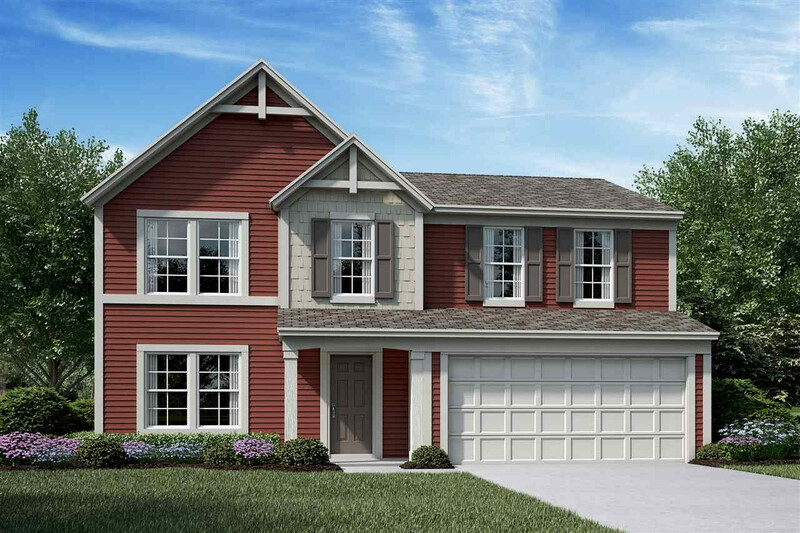 Stylish new Yosemite Western Craftsman plan by Fischer Homes in beautiful Darlington Creek featuring a welcoming covered front porch and private 1st floor study. Island kitchen with stainless steel appliances, oak cabinetry with 42 inch uppers, walk-in pantry and walk-out morning room to a 10x10 patio and all with a view to the family room. Upstairs owners suite with an en suite with a double bowl vanity, tub/shower, water and walk-in closet. 3 additional bedrooms each with a walk-in closet. 2nd floor laundry and 2 car garage. Twelve miles south of Cincinnati along U.S. 27, in the heart of Campbell County, is Alexandria. Named after Alexandria, Virginia, the home of its first settlers, the town was laid out in the early part of 19th century, but was not incorporated until 1856. Alexandria has been the county seat of Campbell County since 1840. There are 8,500 residents. The small town atmosphere is still evident in Alexandria. With its easy access to major highways and vast undeveloped land, however, the city is destined to become a center of significant residential growth. With U.S. 27 intersecting I-471 just north of the city, and the AA Highway crossing the southern tip of Campbell County, Alexandria is one of the “new” focal points in Campbell County and is charting a steady growth pattern. Homes in and around Alexandria vary in style and price. Prospective buyers will find an impressive selection of modest subdivision homes, stately homes and more elaborate custom homes from which to choose. Many new developments are proof positive Alexandria is the fastest growing market in Campbell County. Public transportation is provided by the Transit Authority of Northern Kentucky (TANK). US 27, I-471, the AA Highway and several state highways provide quick access from Alexandria to Cincinnati and Kenton, Boone, Pendleton and Bracken Counties, and the southern parts of Campbell County. It takes just 30 short minutes to drive to downtown Cincinnati, Ohio or the Greater Cincinnati and Northern Kentucky International Airport. St. Elizabeth Hospital East is located in Fort Thomas. Nearby hospitals include St. Elizabeth Medical Center-North, St. Elizabeth Medical Center-South and St. Elizabeth West in Florence. Several doctors have offices in the city. Emergency medical service (EMS) is available. Major shopping centers and malls are within a 20-minute drive. Alexandria, a farming community for many years, still has farm supply stores as well as several stores to serve the needs of the city farmer. Village Green Shopping Center offers a wide variety of shopping opportunities from WalMart to many smaller retailers. Established convenience stores and local chain stores are located in the city or nearby. Alexandria Community Park has over 80 acres that were originally part of the Alexandria Reservoir. A walking trail circles the nine-acre fishing lake. This park features baseball fields, basketball courts, play area as well as miles of paved walking trails. This park hosts an annual Easter Egg Hunt, Fishing Derby, Halloween Haunted Walk and a Christmas Tree Lighting. Tribute Park is a small area that pays homage to all who serve our country – from armed services to the police, firefighters and EMS teams. There are commemorative bricks in this park that serve as personal tributes. Alexandria has tennis and track facilities available through the public schools. Six miles from the city is a county park offering fishing, golfing, camping, picnicking and swimming. The nearby Ohio and Licking Rivers also offer water activities. Sports are plentiful and amateur softball and soccer games can be seen all summer. The Alexandria Community Center offers fitness classes as well as other programs. Many residents enjoy a walking membership at the center. This listing courtesy of, HMS Real Estate .